In this build, the computer controls spinning amber lights, as well as an 87 decibel 'reverse warning' beeping thingy. 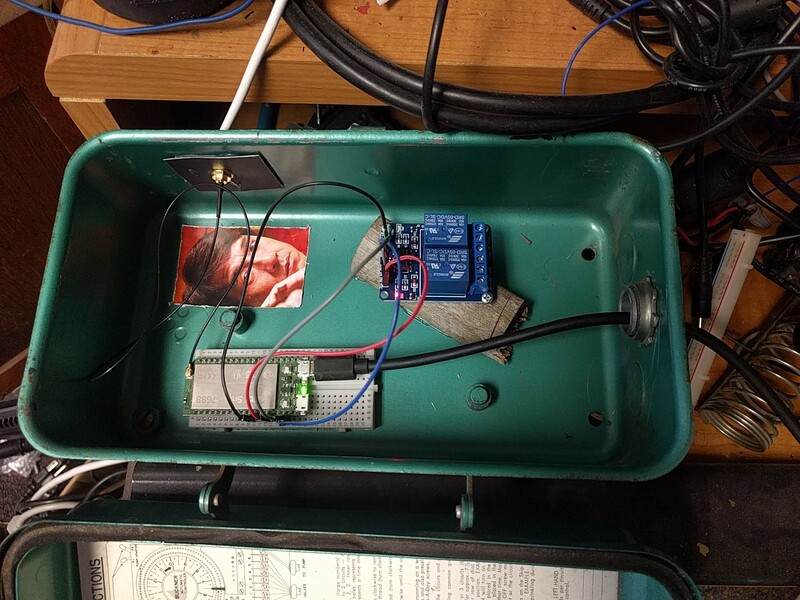 The brains of the build is a Linkit Smart 7688 single board MIPS computer running OpenWRT. GPIO from the board controls a 2 channel relay, which allows me to swith on and off a 12 volt component. 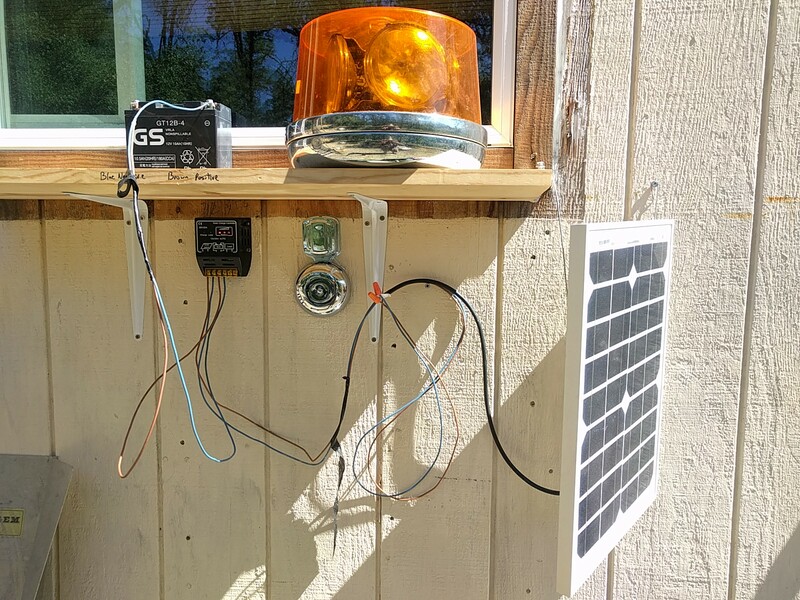 For better connectivity, an omni directional wifi antenna was added to the build. Step 1 of this build involved putting together a shelf directly outside of the window closest to my bed. 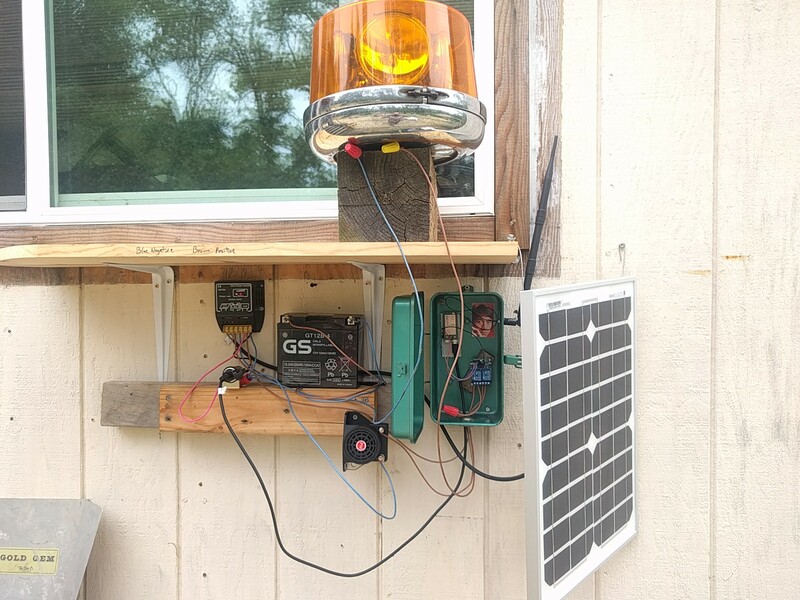 Then the solar power setup was installed. 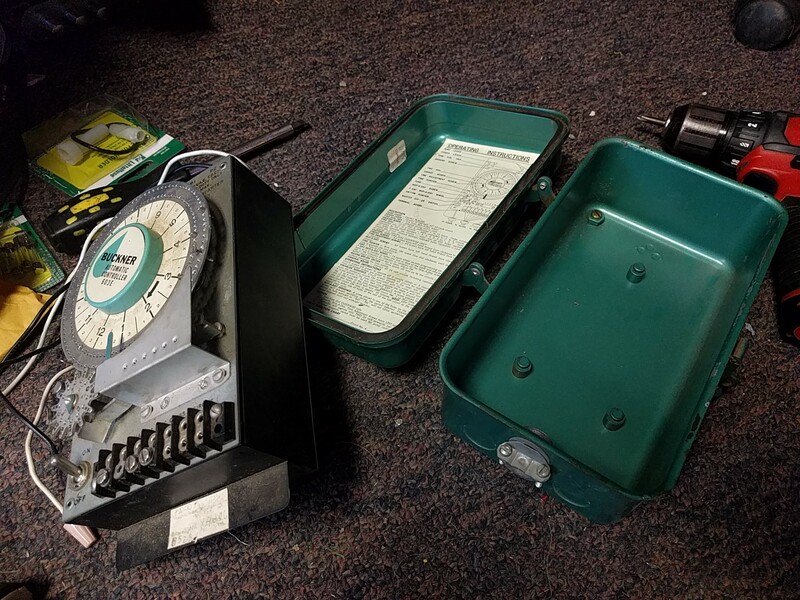 The chrome bell in this pictures sadly can not be run on 12 volts of power, so it was later replaced. Computer case; TAKE IT APART! The case for this build is from an antiquated irrigation/sprinkler controller, which was surprisingly easy to gut and repurpose for my needs. As a bonus, the case is weather proof. 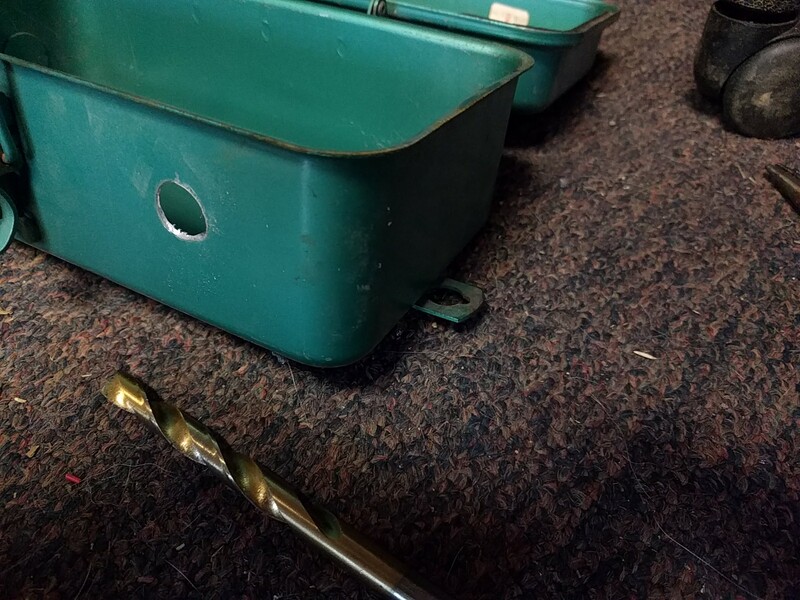 So long weather proof case, hello hole for the antenna. In order to keep the case weather proof, gaskets for this hole will be cut from a DVD case. 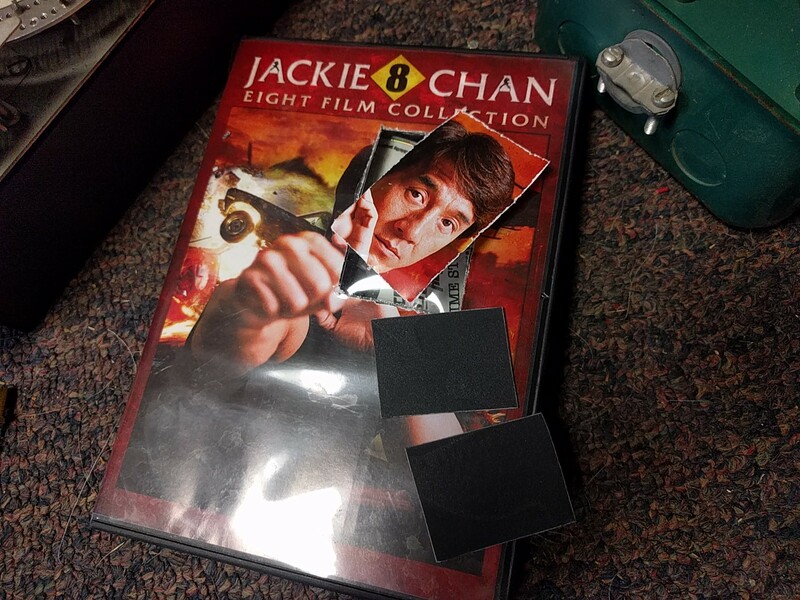 After cutting gaskets from the inside of a DVD case, I discovered that Jackie Chan's face had inadvertently been cut from the cover of the case. The SBC was attached to a breadboard, and the relay was screwed to a hella fancy standoff AKA a block of wood. Then the breadboard, the standoff, Jackie Chan, and the gaskets for the antenna were hotglued to the case. A standard automobile 'cigarette lighter' was attached to the charge controller, and a 1.5amp USB adapter was plugged into the 'lighter' to provide 5volts to the Linkit SBC. In order to trigger the relays, a basic server application was created to provide a Web UI as well as an API that allows the relays to be opened and closed. This is the view of the Web UI on my phone. The light, as viewable from inside. 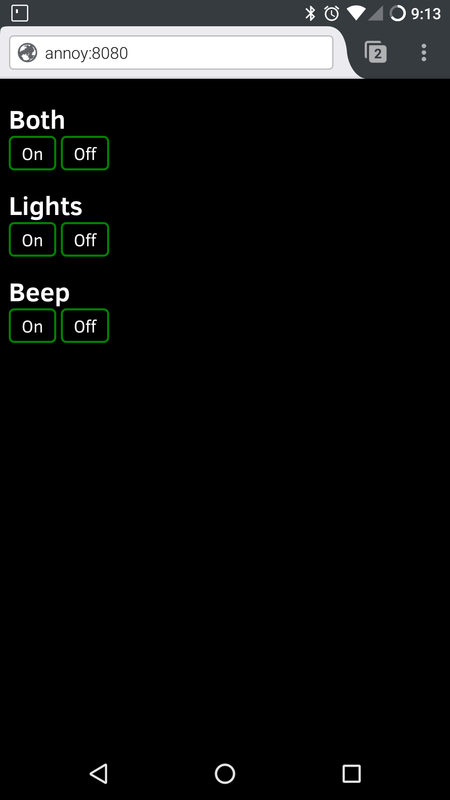 Now that the Annoyatron is complete, I need to find some actions that will automate triggering of the lights and audio. Please feel free to send me some ideas.